We finished the game, and it was released today! Feels like forever ago that I started it. Please give it a go if you have a spare minute and rate. Your base is on the right. 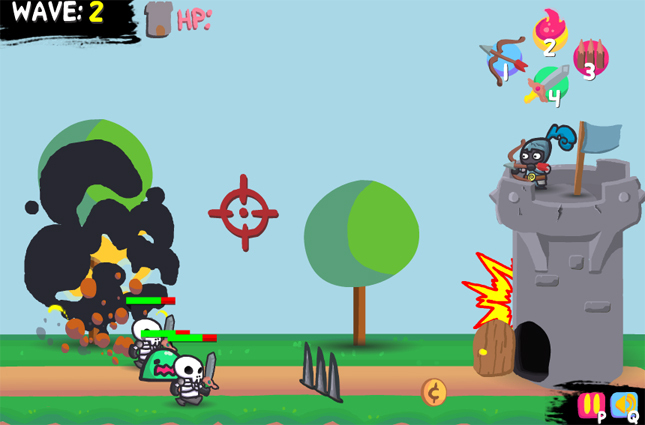 Enemies spawn on the left. You can place traps and shoot weapons. Stop the baddies before your base is destroyed! That pretty much sums up the gameplay right there. 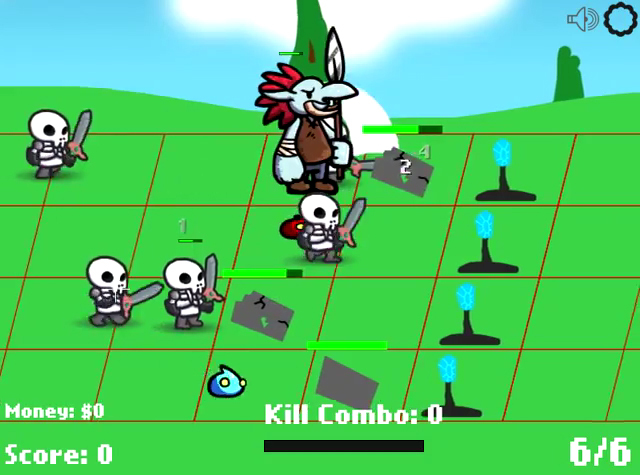 I had the basic code for a defense style game that I wanted to make, so I set out to find an artist. Maybe you even saw me post about it. 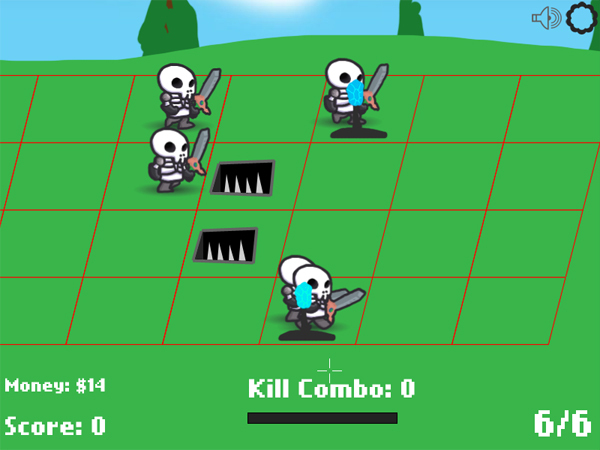 Anyways, I got super lucky and found Tyler, who had an art concept for a defense style game he wanted to make. The perfect combination! So we've been combining the best of both ideas and I'm really excited about the way this is shaping up. The code is by me (Wolfgang) in Actionscript 3, Tyler is doing the art in Flash, and Crystal is on audio. 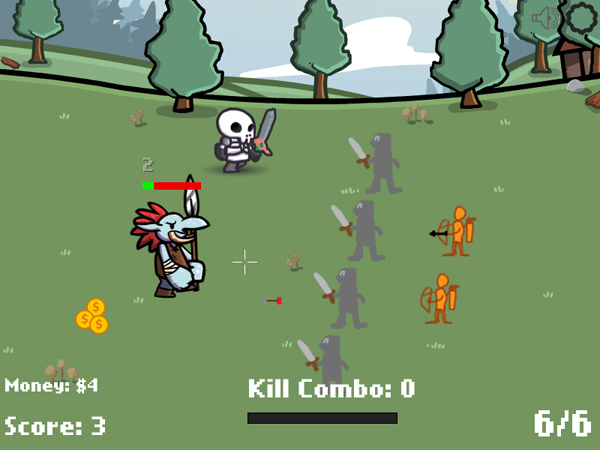 We hope to wrap this up within a month, and then sell it through FlashGameLicense. Added a spike pit trap today. It kills 1 enemy and then takes a lot of time to reset. Any suggestions for what could be a cool trap we haven't thought of yet? We're struggling a bit to find the right design for the base. Any thoughts on this? 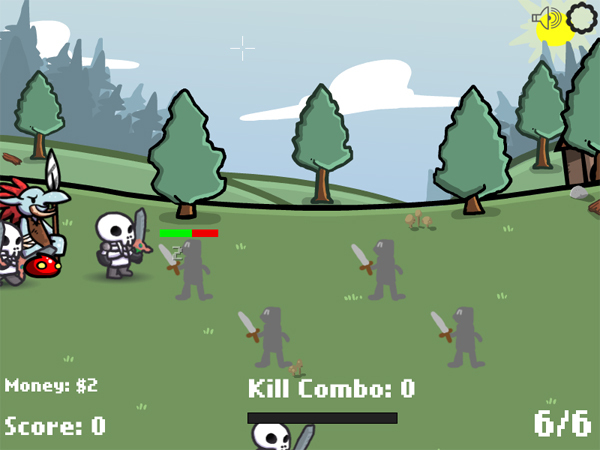 Over the weekend I hope to integrate the base with the player character on top and a bow+arrow to shoot the baddies with. Also still curious to hear any suggestions for new traps or a game name! Added an archer trap, popcorn coins to vacuum up with the mouse, and spent a bunch of time on y-sorting. 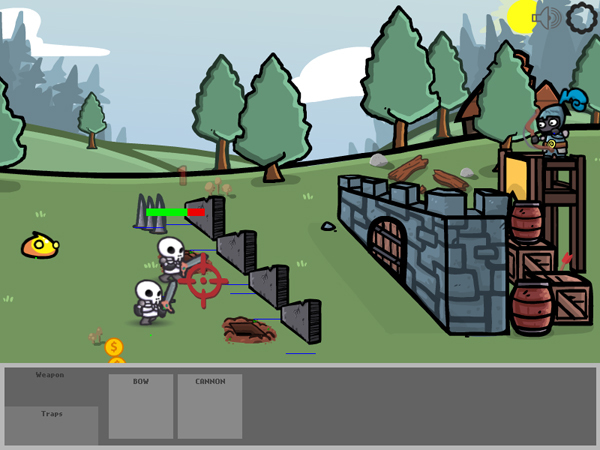 Started replacing placeholder trap art, and added the knight in the tower who can now shoot arrows at baddies. 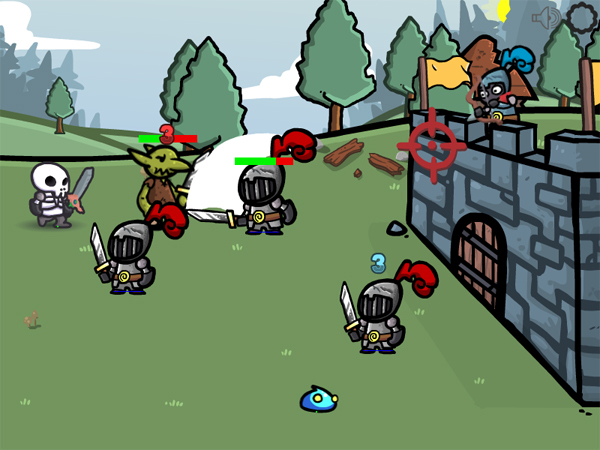 New goblin enemy type. The ice trap is currently bugged because it freezes enemies faster than they can unfreeze so they keep getting refrozen before they can move. 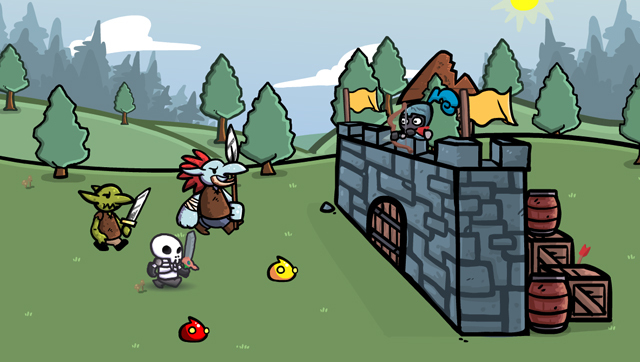 We plan to redo the tower with something more castle-y that covers the full length of the side baddies can attack. 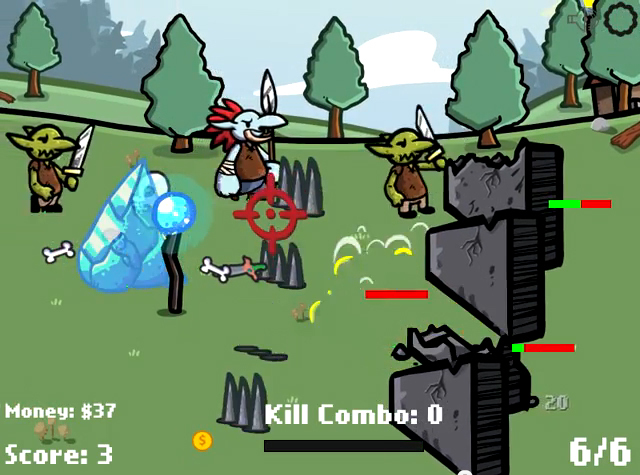 Something like this..
New graphics are great and can definitely see the gameplay being addictive. Like the freezing animation. Thanks man! I like the effect too, really happy with our artist. 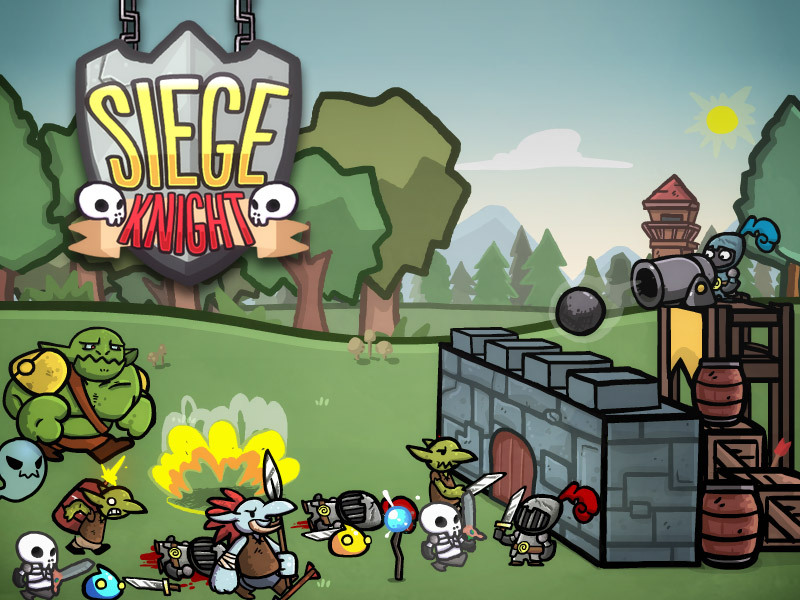 Updated the in-game tower with the castle wall from the previous screenshot, and also updated the knight trap art (it's basically like a barricade that fights back). 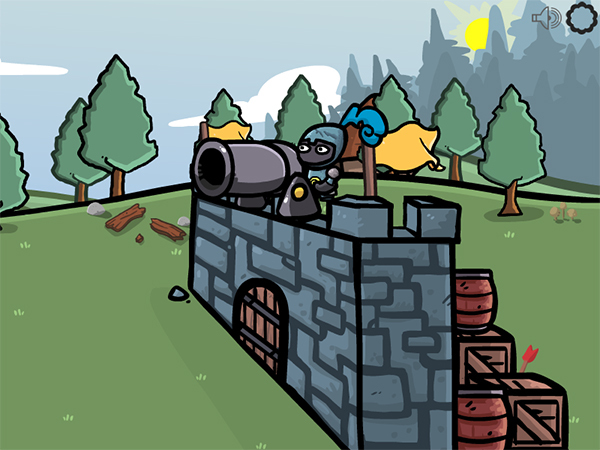 Next up: a cannon for the player to shoot as a 2nd weapon. 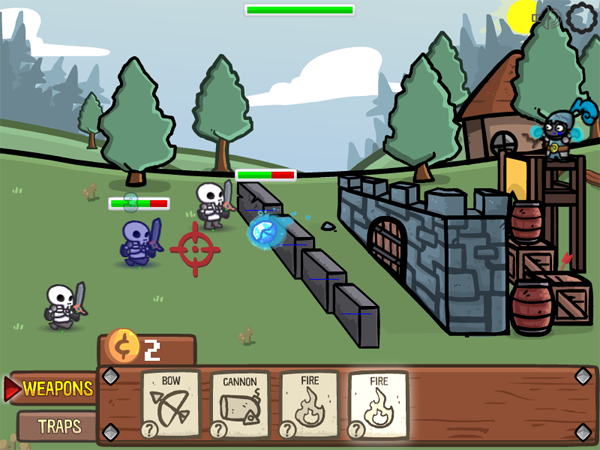 Hoping to add lots of cool weapons including spells before the project is finished. Added a cannon as a 2nd weapon today. Got a little frustrater with the view because you couldn't see the player firing the shots 90% of the time so we decided to shrink everything a little to increase the visible play area. Haven't posted in a while, but we've been busy busy. I think it's really starting to come together and feel like a full game now. 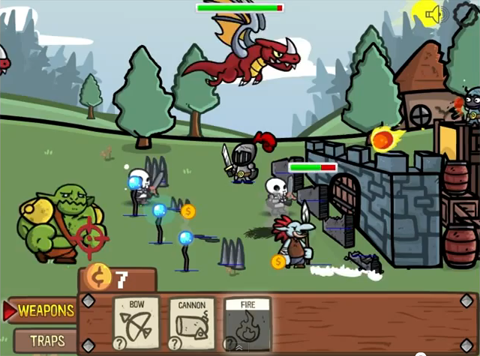 - There's multiple waves of enemies per level now like in traditional tower defense games. I think it makes the pacing a lot more interesting. 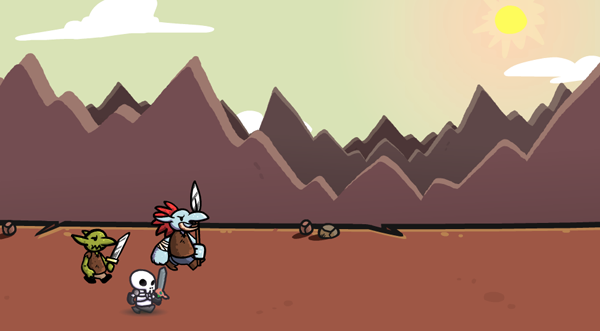 - New orc & drake enemies. - Lots of UI work. 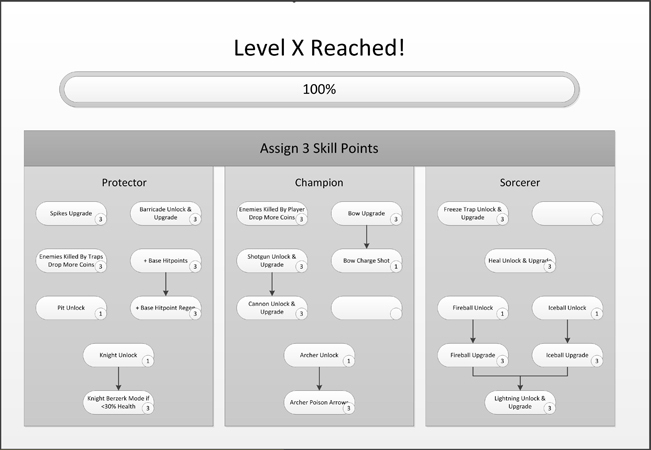 Now I'm going to start on the iceball attack, and a leveling system + upgrade talent trees. The perspective of the wall looks really weird. It shrinks way too much. Thanks man, I passed the feedback on to our artist! So far the barricade perspective has been updated. Looks cool. How many waves are there though? The GUI is very create and well done. The animation is very fluid and smooth. Artwork looks nice and fun as well. Thanks guys! 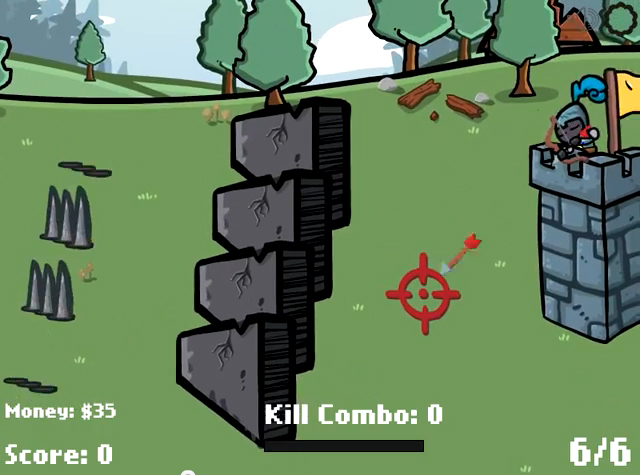 Ninja, the number of waves will probably vary per level. I'm thinking early levels maybe like 3, and then steadily increasing to a maximum of 6 or 8 or so... still need to test and see what feels 'right'. 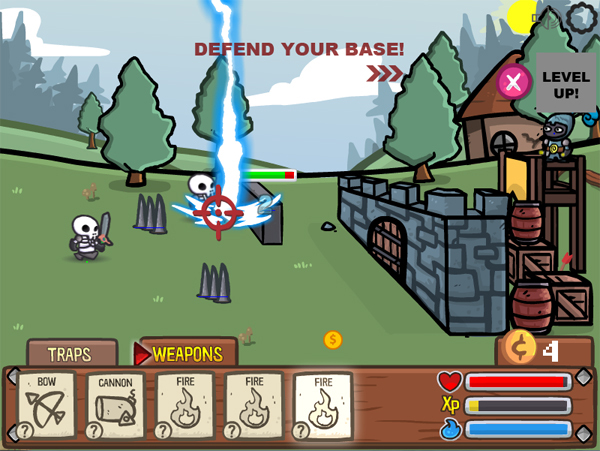 Added the lightning spell, redid some UI and added an xp bar so you can level up. 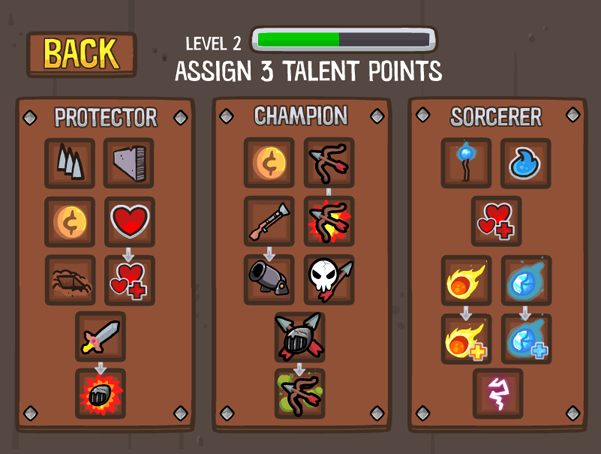 Only 2 abilities left to add... shotgun & heal spell. Also 1 more enemy (spider), and then I'm hoping to do another playtest this weekend but longer with a mini-campaign of 5 levels. 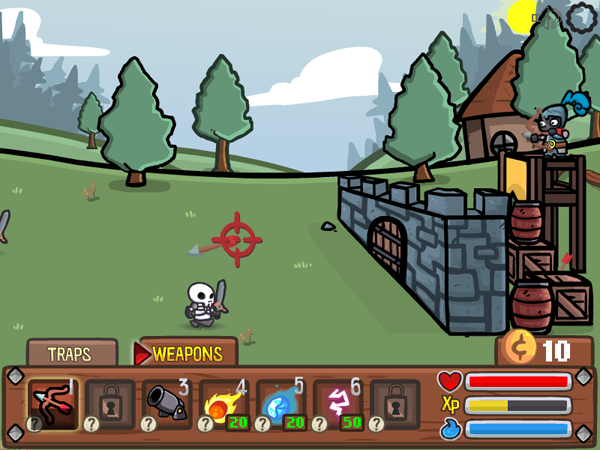 We redid a lot of the UI, I'm much happier with it now. 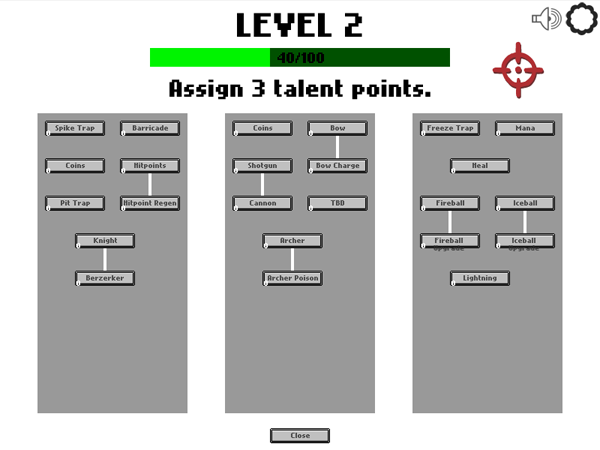 ~60% of the talents are also functional, gonna reskin that next. 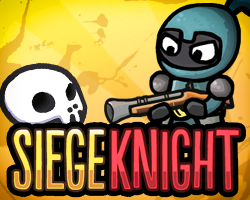 This game looks like a lot of fun, really excited for it!